Very much an integral part of the community, the Tairawhiti Museum functions as both an art gallery and museum for the Gisborne region and beyond. 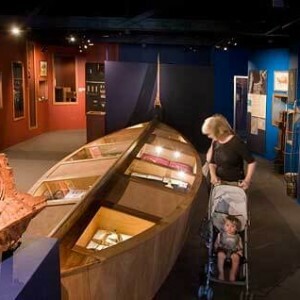 With a focus on historical East Coast Maori and colonial exhibitions the museum enjoys a reputation as being one of regional New Zealand’s best. Aiming to stimulate a passion for the history and local stories of the region, the Tairawhiti Museum has a number of semi-permanent and rotating exhibitions along with some impressive photographic displays on offer every day of the week including Sundays and most public holidays. The museum is located on Kelvin Rise, Stout Street, Gisborne. Standard opening hours are Monday to Saturday 10am to 4pm, Sunday and public holidays 1:30pm to 4:00pm. Entry costs $5 per person, children 12 years and under are free as well as local Gisborne residents. Admission is free on Mondays. The Education Service operates Monday to Friday 10:00am to 4:00pm. Exhibit Café is open Monday to Saturday from 10.00am to 2pm. The Research Centre opening hours are Monday to Friday 1:00pm to 4:00pm, by appointment only. The Photo Archives opening hours are Monday to Friday, 10:00am to 4:00pm, by appointment only. The Tairawhiti Museum collections include social history objects, Maori treasures, community archives, cards and postcards, maps, plans and theatrical programmes, textiles, fine arts, photography, surfboards, natural history and items relating to the Star of Canada ship wreck. The Te Moana Maritime Gallery displays include information and items on Captain Cook’s infamous encounter with Poverty Bay, traditional Maori Waka, the development of Gisborne’s harbour, surfing in the Gisborne region and the local fishing industry. The Watersheds exhibition offers visitors a glimpse into the history of the Gisborne and East Coast region. From famous people of the region and significant historical events to local places of interest, the Watersheds exhibition tells the tales of the past which have shaped the Gisborne of today. The Gisborne Photo News exhibition displays a selection of typical photographs from the popular local magazine of the 1950’s, 1960’s and 70’s. The magazine was predominantly photo based and forged the way for a chain of similar magazines across the country. The pages of the Gisborne Photo News depicted the region’s people and current events of the time. 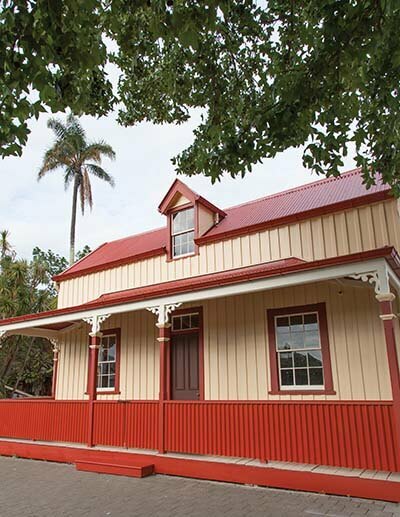 The oldest European cottage still standing in Gisborne (first built in 1872), Wyllie Cottage is popular with tourists and locals alike. Having been recently restored the Cottage features walk-in-room viewing with various objects on display from the original time period as well as informative panels providing insight into the cottages inhabitants over the years. The C Company exhibit is set next door to the museum in the C Company Memorial House. The house displays photographs of the C Company Army Division of the 28th Maori Battalion who fought for the World War Two Allied war efforts. The C Company House is open Tuesday to Saturday from 12-3pm (excluding public holidays). The Tairawhiti Museum also serves as an educational resource for local primary, intermediate and secondary schools in the region, running on-site lessons. The lessons are tailored to provide enriching out of the classroom learning opportunities. As well as the in-house lessons the museum also provides an outreach service, bringing the learning into schools and other venues when required. Serving a wide range of delicious lunch, brunch, morning and afternoon tea options, the Exhibit Café provides visitors with a relaxing place to stop and refuel after enjoying the sights and sounds of the museum. While you are there why not take a look through the Tairawhiti Museum shop and pick up a locally made souvenir. Along with the semi-permanent exhibitions above the museum is home to regular art exhibitions. A list of current art displays is available here. The Museum also has an in-house Research Centre which includes the historic archives accessible by appointment only. Images courtesy of www.tairawhitimuseum.org.nz.